The Original and still the strongest, best selling Tie Down for Pickups on the market- The Bull Ring Classic has been # 1 for 20 years. Bull Ring® Retractable tie downs are a convenient way to add tie-down points to your truck’s stake pockets and still maintain a clean sleek look when not in use. 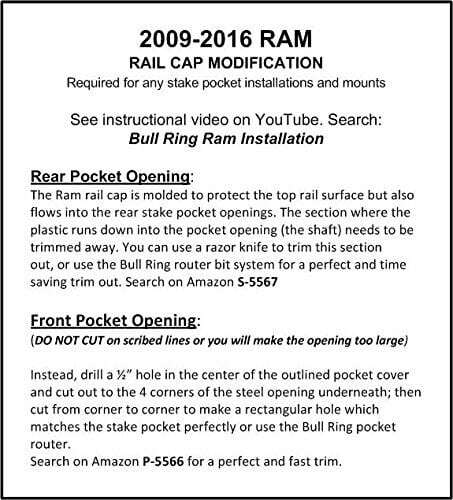 Simply snap the retractable bull rings into the up position for work and snap them back into the recessed housing when done. 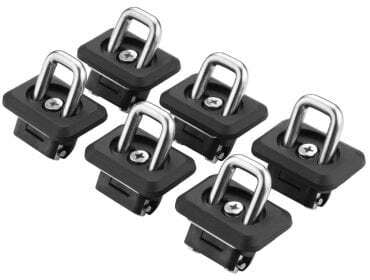 Bull Ring tie downs have a rated capacity of 1,000 lbs and can easily accommodate two standard “S” hooks. 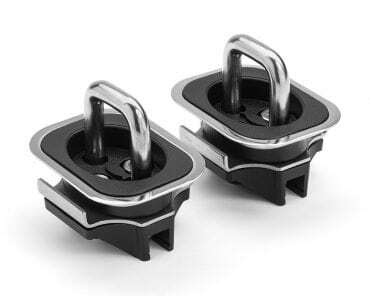 Bull Ring retractable tie downs are made of stainless steel for increased durability and longevity. Installation couldn’t be easier. 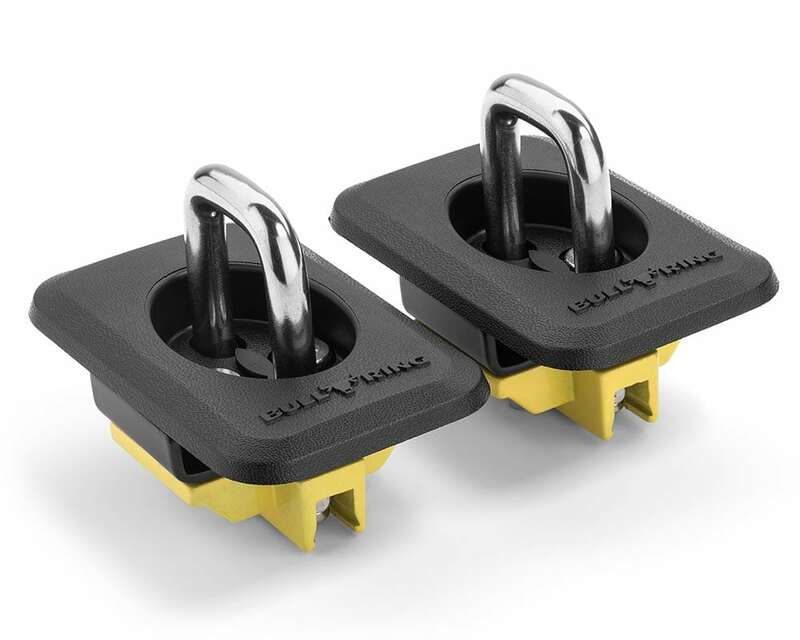 We designed our anchor points for your truck bed stake pockets. 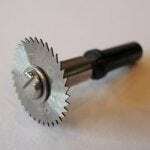 So they require no drilling, no special tools, and no hassles. 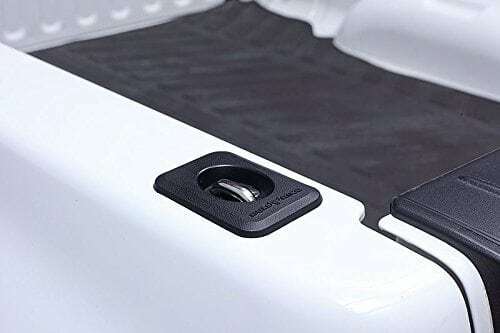 Bull Ring’s retractable tie downs are available in black (black nylon top base plate, stainless steel ring) or in the SS stainless steel top plate finish (stainless steel base plate, stainless steel ring) to match any custom look on your pickup truck. 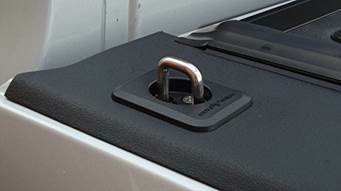 Secure your cargo in your pickup with Bull Ring. Materials: Manufactured with the best materials available. Stainless steel and heavy-duty nylon guarantee they will last. 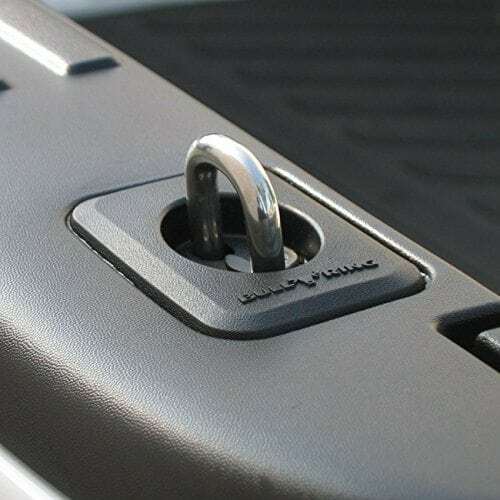 Make/Model: Specially designed to fit the stake pocket on most Ford, Dodge, and Chevy/GMC trucks. Installation: Installation takes minutes and all you will need is a Philips screwdriver. Rating: Break Strength limit – 1,000 lb. If you have a Ford Truck, and you also have a Tonneau Cover, you may prefer our FLUSH FIT Models- # 4025 & 4028. Or search Bull Ring 4025 or 4028 on Amazon. I bought two sets of these over 6 years ago and recently tried to remove them so I could use my stake pockets for a canoe rack. 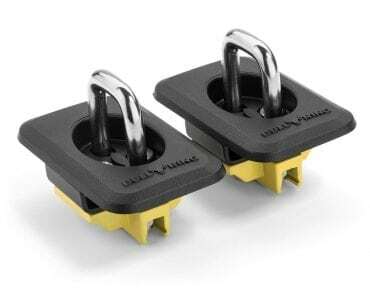 The screws were difficult to get out on three of them… I then called Bull Ring to report what had happened and they were literally happy to replace both sets of tie downs free of charge with a new version. It is such a relief to experience great customer service from a company that actually stands behind a no-nonsense lifetime warranty! It’s rare to find good customer service these days and I was pleasantly surprised with Bull Ring.